The unofficial end of summer isn’t the only thing Labor Day signals. As is true with many long holiday weekends, it’s also when radio stations make changes in preparation for the fall book, as well as do some jockeying to position themselves to prosper from upcoming seasonal advertising. So it shouldn’t come as any surprise that Entercom made the move on Friday to switch from Classic Rock “103.7 The Mountain” KMTT to Rhythmic Hot AC “Hot 103.7, The Rhythm of Seattle.” The station has been rudderless for some time, swaying from one form of AC to another since giving up on AAA back in 2011. The station registered a 2.4 in the July PPMs and, according to Scarborough Research, attracted fewer than 7,000 AQH adults. The latest format change is intended to attract the modern woman, giving her “everything our competitors are not.” So far, there are no disc jockeys, just a promised run of “10,000 songs in a row, commercial-free,” with a mix of both current hits and rhythmic gold from the past two decades. 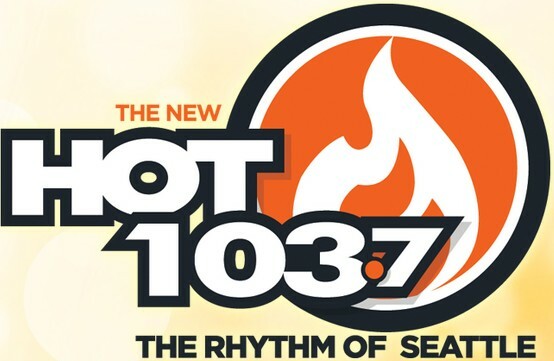 The station’s website is found at http://www.hot1037seattle.com/. Mike Preston, current PD of Country 100.7 The Wolf (KKWF) and prior to that, KBKS-FM 106.1 “KISS,” will take the helm as PD. Preston said to expect an aggressive media campaign in September. What was unique about, and likely the marketer’s quandary with KMTT AAA format listeners, was that they liked all kinds of music, which included a strong affinity for Jazz, Adult Hits, Classic Rock, Alternative, Hot AC, Variety, Classic Hits, Smooth Jazz, News Talk, Sports Talk, Soft AC and Oldies. So sliding into Classics and then 80s weekends over the past couple years certainly left a lot to be desired. Today, public radio’s alt/indie rock format KEXP-FM (90.3) would likely fill the bill better, as would Entercom’s recommended KNDD-FM and Sandusky Radio’s New Modern Music format KLCK-FM (98.9). Listeners apparently weren’t the only ones hanging on in the hopes The Mountain would come back around to the AAA format. Several of its current crop of advertisers were mainstays of the old format. According to media measurement firm, Media Monitors, the Mountain pulled in about $2.3 million in revenues since September 2012, with approximately $500,000 attributed to local advertisers. What do you think? Will Seattle support a Rhythmic Hot AC format? And for former KMTT Mountain AAA format listeners, where have you taken your listening habits?